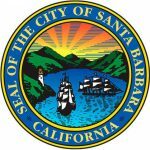 Opera Santa Barbara is a non-profit organization, so your donation is tax-deductible to the fullest amount allowed by law. Our non-profit tax ID number is: 77-0347413. Impresario Circle Members help guarantee the long-term stability of Opera Santa Barbara by making an annual contribution of $1,500 or more. Opera Santa Barbara’s Bravo Society recognizes those individuals who have included us in their estate and philanthropic plans. With a bequest or other planned gift, you can provide the means necessary to ensure future generations of opera lovers will have the opportunity to enjoy the same high caliber productions enjoyed today. The Opera Alliance represents a selection of the most important businesses in Santa Barbara and Ventura Counties, and members have unique opportunities to promote their businesses and services with some of the most influential and affluent members of our local community. Opera Santa Barbara has created the Opera Society to recognize the contributions of our annual volunteers. The organization simply would not exist without volunteers, whose contribution of time and resources saves us thousands of dollars each year. The Opera Society is our way of acknowledging this tremendous contribution. Opera Santa Barbara brings some of the United States’ finest performers and creative teams to create the productions you see on our stage. Our ability to bring these artists to Santa Barbara is dependent on our Artist Hosts; it’s your hospitality that enables live opera of the highest quality to flourish in our community!